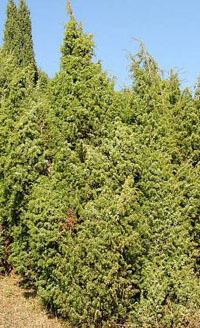 Some time ago BAY and JUNIPER were written about, but only briefly. So I've decided to write about them both this month to give you a little more information about them. 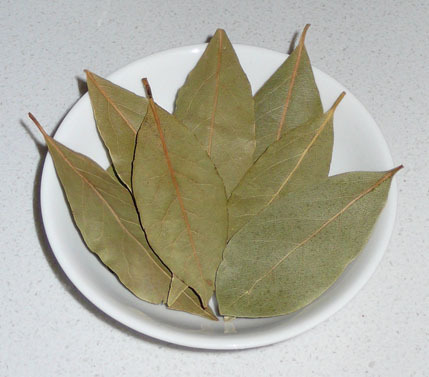 The ancient Delphic priestesses chewed bay leaves to induce a prophetic state, and also inhaled their fumes. This practice without their years of training would be very dangerous, so don’t do it! Grieve ponders that the word bachelor (bachelor degree) is derived from bacca-laureus. It is believed that wreaths of bay laurel were used to crown the winning athletes at the first Olympics. 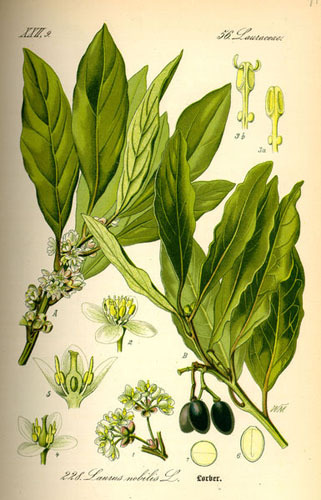 Branches of bay leaves can be woven into a crown and given as a gift at rituals of initiation. Bay can be used in clairvoyance and wisdom brews, although it has a very strong taste, also you can place the leaves under your pillow to induce prophetic dreams. 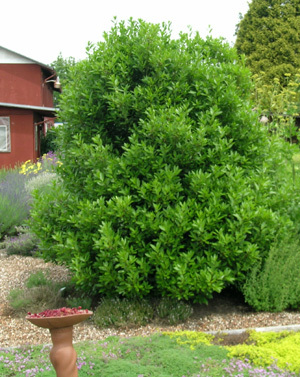 Bay leaves mixed with sandalwood can be burned to remove curses & evil spells. For anyone with writer’s block, how about putting a leaf upon a blank piece of paper to stimulate yourself. Synonyms: Enebro, Gemeiner Wachholder, Gin Berry, Ginepro etc. 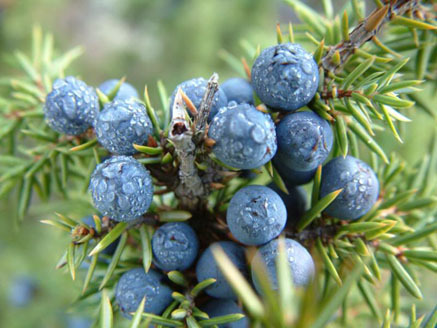 Juniper features in one of the most horrific of Grimms' Fairy Tales. 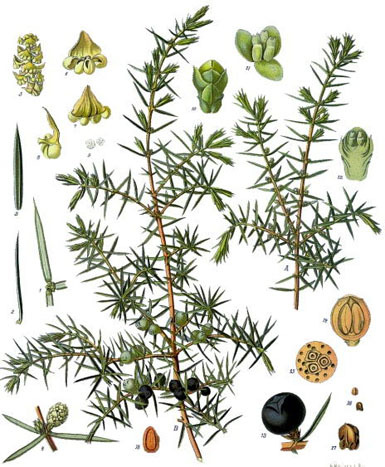 The Juniper Tree in which a pregnant woman eats the berries of the juniper tree which grows in the garden of her house, as a result of which she becomes ill and lives just long enough to give birth to a son. She is buried beneath the juniper tree and after a period of mourning the father remarries; in time a daughter is born and the stepmother becomes jealous, seeking to gain all of the father's wealth for the daughter. She first physically abuses and then kills her stepson and feeds his flesh in the form of a stew to his father. His half-sister collects his bones and lays them beneath the juniper tree in the garden, below which the boy's mother had been previously buried. Amidst a magickal mist and flames the bones are transformed into a bird who is able through his song to reveal how he was murdered. By singing his song to various enchanted listeners, he is able to gather to himself the things he needs to dispense justice. He is clearly intended to be seen as a magickal bird as his plumage is described as being beautiful and he is able to lift aloft a huge millstone which he subsequently drops onto his stepmother and kills her. Once justice has been dealt out to the stepmother, the bird is transformed once, again into the child and normality is resumed. The shamanic initiatory elements within the Grimms' story are unmistakable. The sequence of events may be summed up as: initial death (by beheading, ie dismemberment), the return to the cauldron/womb of transformation (ie the cooking pot), the stripping of the traveller's flesh from his bones and the consumption of that flesh by the traveller's life guide/father, the return of the stripped-down traveller to his ancestors and the world tree, shape-shifting, subsequent re-integration and return to the normal world. The evil stepmother and her eventual death are merely late corruptions to this traditional story so that it would appeal to Christian morality.